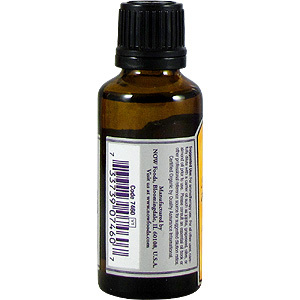 In addition to its mild camphoraceous, uplifting aroma, the natural compounds in rosemary oil contain strong cleansing properties, making it ideal for anyone concerned with Immune System health. NOW Certified Organic Rosemary Oil is steam-distilled. Fun fact: The British used to wear rosemary around their neck to prevent colds, and also wrapped it around their right arms to lift spirits. Rosemary was valued by the ancients of many cultures as a sacred plant that could impart peace to both the living and the dead. The Greeks burnt rosemary at shrines, and along with the Romans, considered it symbolic of remembrance and loyalty. During the Middle Ages, people wore rosemary garlands to bring them good luck and to protect them from evil spirits, magic, and witchcraft. It was also thought to help protect against the plague and other infectious illnesses. Nowadays rosemary is a popular culinary herb, and used in many delectable dishes. However, its charm isn't relegated to the kitchen: it's a powerful aromatic as well. Rosemary's fresh, minty, woody aroma can fight fatigue, uplift spirits, renew enthusiasm, and boost self-confidence. Rosemary also has antibacterial and antiseptic properties, making it a strong ally against colds, flu, and respiratory infections. 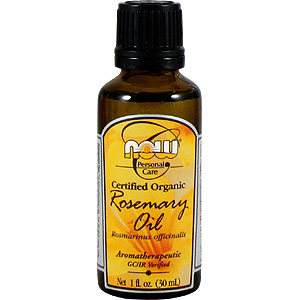 Rosemary is a necessity for every aromatherapy kit. Parts used: Fresh flowering tops or whole plant. Safety Information: Avoid if pregnant. Do not use if diagnosed with epilepsy or high blood pressure. Do not rub or massage directly over or below varicose veins.